Rochester, NY -- Since 2004,Ideal Manufacturing has delivered design support to building design and construction engineers. 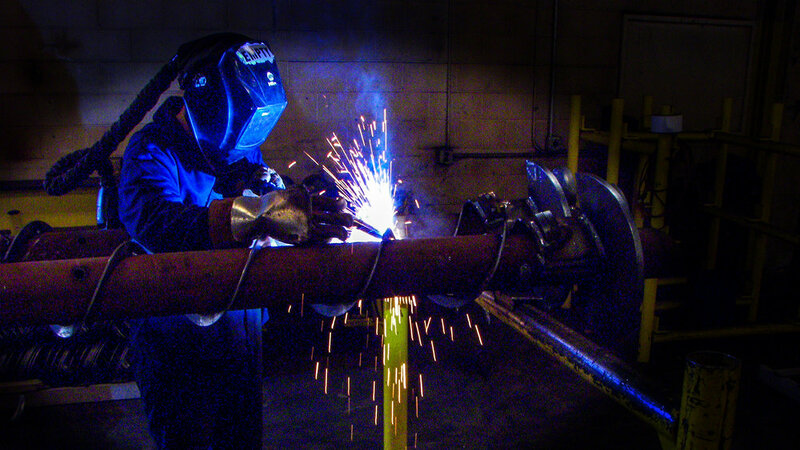 The company produces deep foundation products by highly skilled welders in a 60,000 square foot, ISO–9001 certified factory. Ideal’s business has grown tremendously -- in part due an enduring commitment to excellence in every aspect of their operations -- including their computer infrastructure. The company recently avoided what could have been a devastating amount of downtime to their manufacturing operations due to a zero-day exploit. They were quick to attribute it to heeding advice provided by SkyPort IT. A zero day exploit is a cyber attack that occurs on the same day a weakness is discovered in software, which usually takes place before a software fix or patch has been released from the application developer. Because Ideal’s IT network is secured with products that are layered on different levels of what is called a “vector’ or point of potential intrusion, SkyPort IT was able to detect the attempted cyberattack, thereby circumventing any potential ransomware demand. To protect Ideal’s network, SkyPort IT has spent three years improving their IT infrastructure at two of their NY locations. During this time, Ideal invested money into their IT infrastructure and incorporated many of the suggestions that SkyPort IT made regarding new technology, products and services that would help to detect and prevent hackers and ransomware attacks. “We help companies safeguard their data by providing cyber security solutions. We also manage all levels and layers of their IT infrastructure,” said Dan Marcellus, president and chief executive officer, SkyPort IT. “Our IT system withstood a zero-day attack with less than half hour of down time and no data loss,” said Dave Frink, manager, Ideal Manufacturing. Dave says the investment that Ideal has made in technology and services saves them money every day. “Dan gives me realistic, step-by-step suggestions built around careful listening to our present needs, our projected needs and our resources, and takes extra steps to not over-sell equipment or services,” said Dave. SkyPort IT provides monthly reports to its managed data security services' clients as part of regular strategy meetings. The monthly report gives executive management an overall summary of the health of their entire computer network. Included is a one page overview of that month’s activities including anti-virus compliance, computer patches, and a report description for each layer of SkyPort It’s protective service. Dan adds that in every IT protection scenario, the most important factor is preventing human error, which often is caused by lack of cybersecurity awareness and training. To head off mistakes, SkyPort IT provides employee awareness training, testing, policies and procedures, in addition to managing security services. “We can put all these layers of protection in but a trained end user is still our last defense,” he noted. I would highly recommend Skyport IT. They have provided IT assistance and guidance to my family's companies for as long as I can remember. Being a small business owner, handling the IT side of things can be very intimidating. With the pharmacy industry being so dynamic, I have needs that pop up and need to be solved that day. SkyPort IT is great at scheduling their team around my needs and getting all my problems solved in a timely manner. Whether we are talking about network security, day to day operations of our computers, or adding new technology to the business, Dan and his team are there for us every step of the way. Please submit a testimonial and/or suggestion for improvement - Thank you so much!